The late Baheeg “Bill” Saad was a dynamic businessman in the Manning Valley region of NSW. He was one of the increasingly few survivors of the second wave of Lebanese immigrants who settled in Australian between the two world wars. His daughter-in-law Mounira Saad prepared this short biography. Baheeg George “Bill” Saad was born in Douma, Lebanon in 1907. He had three brothers, Hanna, Assad, Nassim and four sisters, Sulwah, Badiah, Haifa and Mounera. Hanna, Sulway and Badiah stayed in Lebanon but all the other siblings migrated to Australia at different times and married to create an extensive extended family. Baheeg arrived in Australia in 1928, landing in Sydney, where he stayed for two years. During this time he became friends with Nicholas and Ramza Joseph, which would prove significant in later years. He left Sydney in 1930 to join his sister, Haifa, and brother-in-law. This was during the difficult depression period, and after a short period operating a small joint venture business with them; he branched out on his own in a shoe and shoe repair store in Hilston, NSW. This was not as successful as he had hoped so he left Hilston and travelled to northern NSW in search of business opportunities going as far north as Murwillumbah. Opportunities not being readily available he moved south and arrived in the Manning River district in 1937 where he renewed his friendship with Nicholas and Ramza Joseph, who by now were well established in a Café and Milkbar in Wingham, NSW. 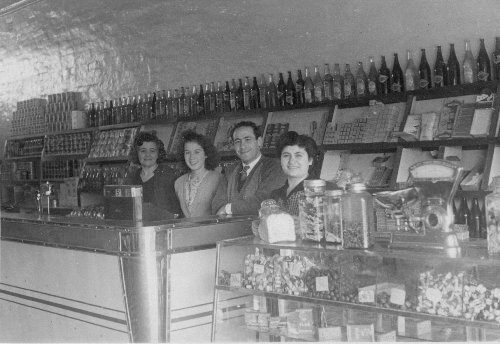 Ramza’s mother Liza and two sibling sisters had arrived from Lebanon to live with them in 1935. The two sisters Mary and Olga attended Wingham Public School for a short period. Liza Solomon had another daughter, married to Fred Nasser already living in Australia. 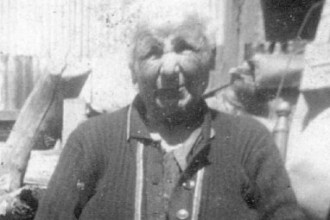 This situation gave Ramza Joseph the chance to use her matchmaking skills: Baheeg and Mary Solomon were married in 1938. Prior to his marriage Baheeg had established a shoe retail and repair store in Taree which sustained him and his new wife in the early days of their marriage but this was not enough to satisfy a super energetic person like Baheeg. They ventured into a café & milk bar in Manning Street Taree, which prospered in no short time due to their hard work and innate good business sense. This proved to be the springboard into other business ventures, wholesale fruit, property investment and in 1952 back in the shoe business in which his niece Soad, Mrs Fouzie Elmowy, helped him establish. Eventually the café and milk bar and wholesale fruit businesses were sold off and the Saads concentrated on shoe retailing. Today they operate 6 businesses in Taree, Foster and Port Macquarie. It gave Baheeg and Mary great pleasure that all their children married, had children of their own and settled in Taree. The Saad families enjoy the highest respect in the Manning Valley District both because of their business reputation and their civic and social contributions to the Town and District. May passed away in 1996 after a short illness and Baheeg died in September 2003. They had five children: John, Noreen, Michael, Mae and Malcolm and fourteen grandchildren and nine great-grandchildren.